Smelling this perfume oil, one would not believe that it only contains 1.5% Jasmine Absolute! It packs a punch and a beautiful one at that. This is a deliciously full jasmine that has a multitude of facets. Yes, it smells like hot jasmine flowers, but it also has a cool banana nuance that is evocative of ylang-ylang and a warm, breathy tone that is somewhat intimate. 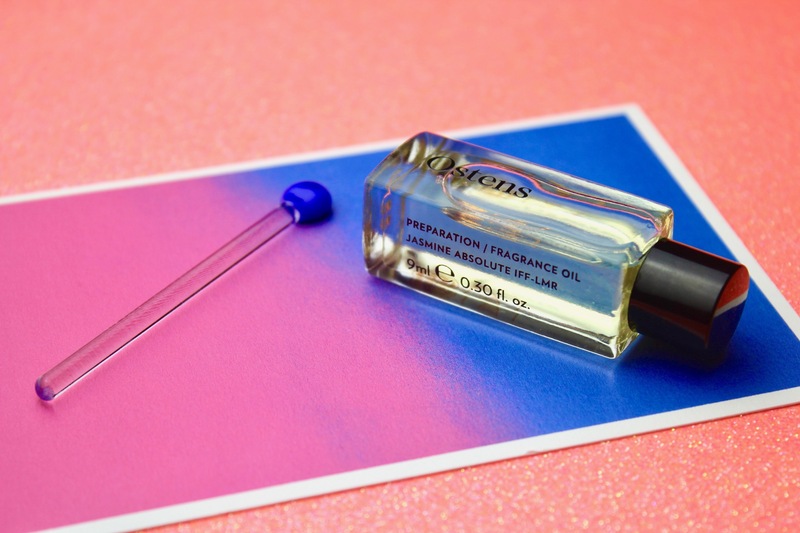 It can be worn under the Jasmine Impression from Ostens or any other fragrance of your choice, but personally I like it straight up – it’s just so good on its own. Now, I don’t really like perfume oils, let me tell you, but I sure as heck do like this. Read more about this fragrance and the brand Ostens here. Ostens Jasmine Absolute (IFF-LMR) Préparation Fragrance Oil – 9ml/£50. Sample via Ostens. Images are my own. Posted in Ostens and tagged Absolute, Art, Beauty, Cologne, Fragrance, Grooming, Jasmine, Niche, Oil, Ostens, Parfum, Perfume, Perfume Review, Review, Scent. Bookmark the permalink.